If you are looking for a term life insurance policy we recommend that you get life insurance quotes from more than just one insurance company. By comparing term rates we can help you save a significant amount of money. We also make the process of applying for and getting approved for life insurance simple and easy and work with you through email or phone to help make the process of getting a policy easy. So why compare rates among multiple companies? Insurance companies tend to be competitive in different areas. For example, while one company is very competitive when it comes to Life Insurance Quotes over $500,000, they may not be interested in smaller policies, and will not be competitive for a $250,000 policy. Some companies want to insure people with pre-existing conditions and will have the best pricing if you are a diabetic for example, while other insurance companies will price diabetics at much higher rates. Because insurance carriers tend to be competitive in different areas, we recommend that you compare term life quotes before choosing the company that you decide to apply with. 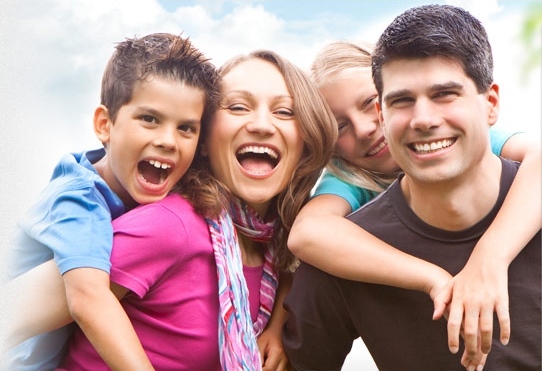 At ChooseTerm.com we work with over 30 high quality life insurance carriers. This means that we can help you compare rates, and work with you to save you money. We also specialize in high risk life insurance, and can help you find the right company for you based on your specific health condition. If you have any serious health complications, like a cancer or cardiovascular problems, you’re considered a “high risk” applicant. If you fall into this category, then you should expect to pay more for your life insurance coverage versus a person that is considered normal risk. If you’re a high enough risk, then there is a chance that the company will decline you for coverage. If you’ve ever been rejected for life insurance because of your health or pre-existing conditions. Don’t assume that you can’t get affordable life insurance. Regardless, there are several options for insurance coverage that you can choose from. There are some companies that specialize in working with high-risk applicants and they will offer you quality coverage at an affordable price. Every insurance company is different, and all of them are going to have different medical underwriting, and that means that every company is going to view your application differently. You’ll get drastically varying rates depending on which company that you get the quote from. It’s important that you get dozens and dozens of quotes before you decide which one is going to work best for you. Instead of wasting hours and hours calling those companies yourself, let us do all of the work for you. One of the most common reasons that people don’t buy life insurance is because they assume that it’s going to be too expensive to fit in their budget. In just about every case, that couldn’t be further from the truth. There are several ways that you can secure lower insurance premiums. At ChooseTerm.Com, we are dedicated to helping you get the lowest insurance premiums, and we are going to give you several tips to save you money on your life insurance protection. The first thing that you should do is cut out any tobacco that you currently use. If you’re listed as a smoker on your application, you should expect to get much higher premiums for your insurance plan, regardless of which company that you chose. Smokers are going to be at a much higher risk for severe health problems, like cardiovascular problems and cancers, which makes you a greater risk to the insurance company. They are going to offset that risk by charging you much higher insurance premiums. In fact, smokers are going to pay around twice as much for life insurance versus what a non-smoker is going to pay. The next thing that you should do is improve your overall health through diet and exercise. Before the insurance company approves your application, they are going to require that you take a medical exam. During the exam, they are going to look at your blood pressure, weight, and overall health. If you want to save money, it’s important that you’re in a healthy weight range. If you’re overweight, you can pay around 50% more for your life insurance coverage, which will equal thousands of dollars throughout the course of the insurance plan. Another simple way to save money is to slow down on your way to work. Most applicants don’t realize it, but the insurance company is going to view your driving record. If you have several speeding tickets or driving accidents on your records, then the insurance company is going to view you as a greater risk. If you want to save money on your insurance coverage, then you’ll need to lay off the lead foot and leave earlier for work. One of the most vital decisions that you’ll need to make is how large of a plan that you’ll need to buy. Not having enough life insurance coverage is one of the worst mistakes that you could make. There are several important categories that you should account for when calculating your life insurance needs. The first number that you should look at is all of your debts and other final expenses that your family would be responsible for. The primary goal of your life insurance is to give your family the money that they need to pay off your mortgage, student loans, car payments, and much more. If something were to happen to you, your loved ones would be responsible for all of your bills, which is going to make the situation a thousand times worse. The next number that you should look at is your annual income. The secondary goal of your plan is to give your family the money that they need to replace your paycheck. If you’re one of the main income earners in your household, your family would suffer financially if something tragic were to happen. Your life insurance coverage will give your family the money that they need to get through the difficult time without having to struggle to pay for any basic bills and expenses. Another factor that you should add into your calculations is your burial costs and funeral fees that your family would be responsible for paying for if you passed away. While most people don’t realize it, the average funeral can cost around $10,000, which can be difficult for a grieving family to pay for. Your life insurance plan will ensure that they have the money to fulfill your final wishes without having to worry about where the money will come from. A lot of applicants are surprised to see that they will need a million-dollar term life insurance policy, but don’t worry if you need that much coverage. It’s easy to find an affordable million-dollar life insurance plan. One important decision is determining if you should buy a term insurance policy or a whole life insurance plan. Both of them are great options for coverage, but they both have unique advantages that you should consider. A term insurance plan is going to only be effective for a certain period of time depending on how long of a term that you purchase the coverage for. After that point, the plans are not active and you don’t have life insurance protection. They are going to be the most affordable type of insurance. Whole life insurance on the other hand is a permanent for of life insurance. As long as you pay the monthly premiums for the plan, you’ll have life insurance protection. Because these plans will never expire, they are going to be more expensive than other options. Another option for insurance coverage is to buy a no medical exam plan. These policies will allow you to buy protection without having to undergo the medical exam. These plans are a great choice for anyone that has health problems or is in poor overall health. These plans are going to be more expensive than a traditional policy, but you can’t put a price tag on the peace of mind that having life insurance is going to bring. Additionally, you may be limited on how much life insurance protection that you can buy. Most insurance companies are only going to allow you to purchase around $250,000, which isn’t enough protection for most families. We know that shopping for life insurance is not a fun experience. There are several different kinds and thousands of different companies that you can choose between. It can be overwhelming trying to find the best insurance policy for you, but that’s why we are here to help. As we mentioned, we work with dozens and dozens of highly rated companies across the nation. We have years of experience working with all types of applicants. Don’t waste hours and hours calling different companies. Instead, let us save you both time and money on your life insurance search.